The President Muhammadu Buhari Campaign Organisation has asked the presidential candidate of the Peoples Democratic Party, Atiku Abubakar, to withdraw from the election. The organisation based their call on the allegation by the Atiku Campaign Organisation that members of the family of the President owned substantial shares in Etisalat and Keystone Bank. 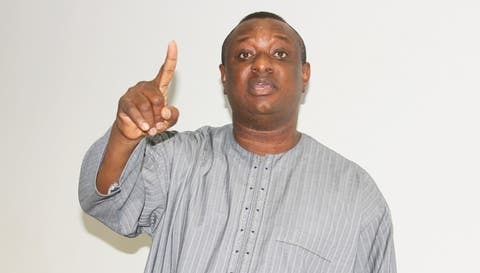 In a statement on Wednesday, spokesman for the PMBCO, Festus Keyamo, said the denial by Etisalat and Keystone Bank’s investors that the family members of Buhari had nothing to do with both companies was another indication of the fast-collapsing campaign of Atiku and that of the PDP. The statement said, “The result of the fact-check, which was published in some news outlets, clearly shows the depth of desperation, deceit and debauchery to which the Atiku campaign has sunk. “Rather than respect the feelings of Nigerians by offering clear-cut responses to straightforward allegations of tax-evasion, grand corruption in and out of office, impending sealed indictment waiting for him in the US, Atiku Abubakar has decided to drag the world down with him as he goes down in a blaze of infamy. He has decided to go wild with wild, unsubstantiated allegations against the President and Vice-President, throwing caution to the wind in the process. The group recalled how the PDP’s Vice-Presidential candidate, Mr. Peter Obi, allegedly reeled out false statistics with a straight face during the Vice-Presidential debate.